A Daily Dose of Fit: Your Workout: What you do before, during and after it determines how good it'll be. Your Workout: What you do before, during and after it determines how good it'll be. And just like that, we commence our first Saturday in December. Are you getting a tree today? Shopping for Christmas presents? Decorating the house? My guess is that you're not working out, which is fine...and quite typical for Saturdays. At least it is in my home. I'm at the gym all week, so the last thing I want to do when I wake up on Saturday morning is go right back there. I love it, but I love my Saturdays even more. That said, we can still THINK about working out. 1) Fuel up. Similar to the way cars can't run without gas, our bodies can't function without food. Make sure you have a light, healthy snack before you hit the gym—and do so at least 30 minutes beforehand so that your body has time to digest it. Healthy carbs are best. 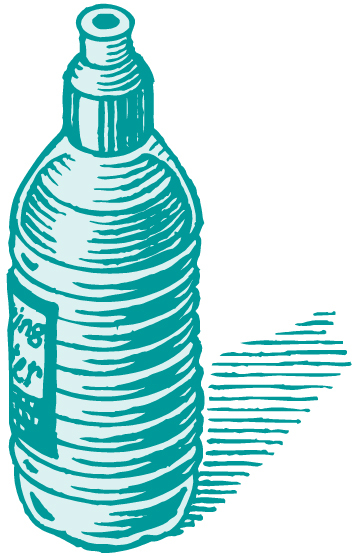 2) Get drunk—on water! Forgo the energy drinks. They're really just sugar bombs. Stick with nature's finest aperitif. Water is pure and good, and takes up over half of the space in our bodies. Don't believe me? Ever been to the desert? Nothing really grows there. And it never rains Gatorade. 3) Prepare yo'self. Know what you're going to do in the gym that day. Make your playlist. 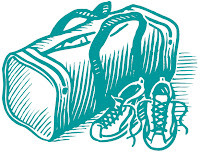 Pack your gym bag...do whatever you need to do before you start your workout so that you can start said workout without a hitch. 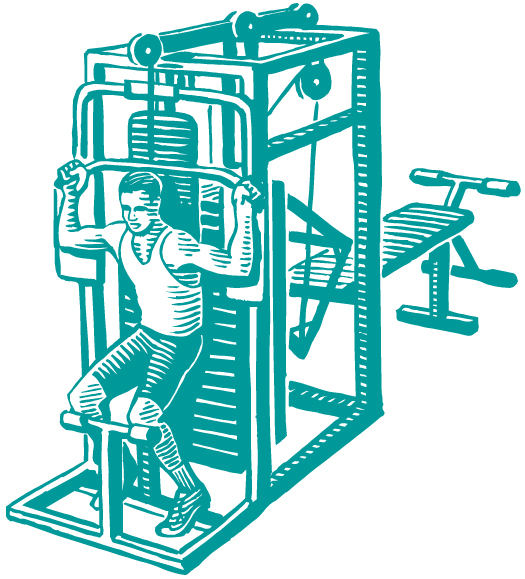 Fumbling for exercises during a workout leads to skipped muscles and missed repetitions. 4) Warm up. Seriously, don't skip this part. So many people reach right for the weights without an ounce of prep work on behalf of their muscles. Imagine picking a rubber band up off the ground—the cold ground. Odds are fairly good that the rubber band itself is cold. Somewhat stiff, too. And this, of course, would make it hard to wrap around anything. It might even snap in two. But if you were to warm said rubber band between your hands, well...it would most likely wrap with ease. Think about that in terms of your muscles. 1) Keep drinking. When the desert dries, the plants die. Keep yourself hydrated throughout your workout to ensure that your muscles are "staying alive" during each and every repetition. You might not be thirsty, but thirsty is the first sign of dehydration. So if you can avoid it, all is good. And by "all," I mean your workout. 2) Snack if you have to. Feeling woozy or lightheaded? That pre-workout snack might not have been enough. Especially if your workout is of the distance nature, like a marathon or triathlon. Not only will you need to fuel up before, but you'll want some fuel during it, too. This is were energy bars, energy drinks, gels...etc...tend to come into play. Again, just be sure to pick the cleanest ones on the shelf (there's a lot of junky crap out there, so beware). But for the average worker-outer, your pre-workout snacks should get the job done. But still, snack if you have to. 3) Monitor your intensity. Don't jump right into the hardest exercise you've got planned for the day. Do a few warm up repetitions with a lighter weight, or with an easier exercise, just to make sure your muscles are truly warmed up and ready to work. You'll avoid unnecessary injury while assuring yourself that you're about to get the max out of that really hard exercise. 4) Stretch if necessary. 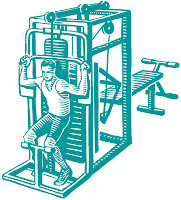 Work a particular muscle group to fatigue? Feeling a little tight here and there? Don't feel like you have to wait until the end to get your static stretching in. Go ahead and stop what you're doing, stretch that muscle out and continue. No sense leaving it tight, right? 2) Get more fuel. Like your car's gas tank after a long road trip, your stomach will be on empty so reach for the carbs and protein...but don't assume a protein drink is your only option. Whenever you work out, you create tiny tears in your muscle fibers. These tears can heal on their own, but they heal much better when assisted by a healthy snack or meal. Protein drinks aren't always healthy, but a nice chicken sandwich or hard-boiled egg snack...mmm, mmmm, mmmmm. => Read "What to Eat Before, During and After Exercise" by WebMD for even more details. 3) Ice, ice..baby. If you've got a problematic area or if you really "killed" a particular muscle group, beat the pain with some anti-inflammation action. Put a bag of ice over the area for ten minutes or so. If you're a runner and you just busted out some pretty serious distance, grab your favorite sweatshirt and take an ice bath for a few minutes. But if ice and being cold isn't your thing, at least add some anti-inflammatory foods to your post-workout snack. Like, say, some blueberries or pomegranate seeds. 4) Leave your gear where you found it. 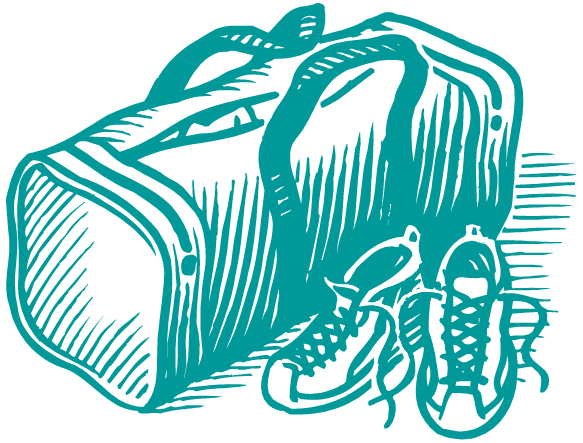 If having your gym bag by the back door reminds you to actually hit the gym, put it right back there when you're done. And make sure everything inside it is clean and prepped for your next workout. Sounds silly, but if our stuff is staring us in the face, we're more than likely to use it. And the more we work out (within reason) the better our fitness. Questions? Lemme know. And if you entered my Yumnuts giveaway, be sure to check back tomorrow. Can't wait to announce the winner!